You ask people what restaurants they’ve always wanted to visit in London are and 90% of them I reckon will say J Sheekey. They say it’s the best fish restaurant in London. It’s been in it’s hugely central but oddly hidden location forever, but has been gradually expanding bit by bit, give it 10 Years and I reckon they’ll have the whole row. I’ll try not to get on my high horse about the old restaurants being the best and all that, the London restaurant scene wouldn’t be as amazing as it is without the new, exciting and innovative restaurants and concepts that keep arriving, but from time to time one just craves table cloths, reservations and a crisp white menu that isn’t a on a blackboard or off a roll of recycled parcel paper. Oh and a doorman, I love doormen at restaurants, so gloriously old-fashioned, I’ve never met an unfriendly doorman. Shockingly I was only 8 minutes late – I’m improving. And as it was Friday (as if I need an excuse) we quickly ordered a glass of Champagne to toast the arrival of the weekend. 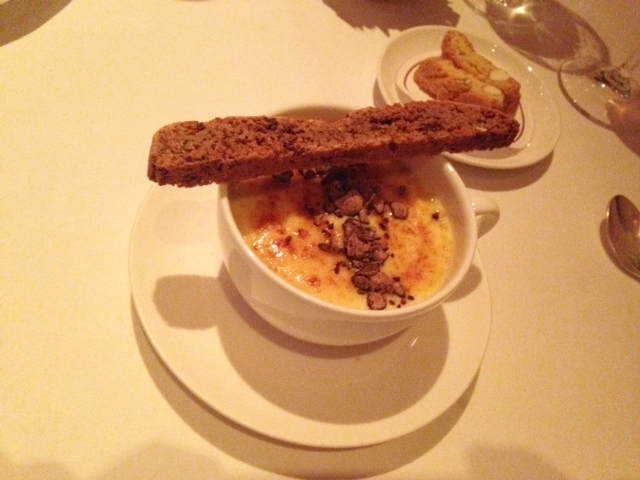 Again, as if I needed an excuse I decided to spoil myself with my choices so started with potted shrimps which were delicious. I’ve never made potted shrimps but mother tells me it is a seriously time consuming dish and dead fiddly if you’ve got to get the shells off the blighters! My friend had garlicky, prawns which were lovely and plump with plenty of flavour. So, I mentioned I was spoiling myself earlier….. I chose the Dover sole for a main course, the smaller of the two options and of course en meunière. Here was the only problem I experienced, in the time between showing me the beautiful fish, taking it off the bone, placing it onto a COLD plate and it arriving at my table it had gone almost cold. I didn’t say anything at the time as I didn’t want it to be taken away and either thrown away (a serious waste) or put under a grill (the best way to ruin such a delicate fish) although I did mention it when we were paying the bill. Despite it’s temperature the fish was amazing, it’s my absolute favourite fish, so smooth, so delicate with a wonderfully rich flavour – it seems I’m a girl of expensive tastes…. My friend had one of the specials of sole with some kind of chorizo style sausage which somehow did not overpower the fish and worked well. Dessert wasn’t for me in a place like J Sheekey, but I had a mental bet that they would do a damn good savoury so I had a Welsh Rarebit. I wasn’t wrong. Perfect size, good ‘meltage’ and Worcestershire sauce provided to DIY to your own tastes. 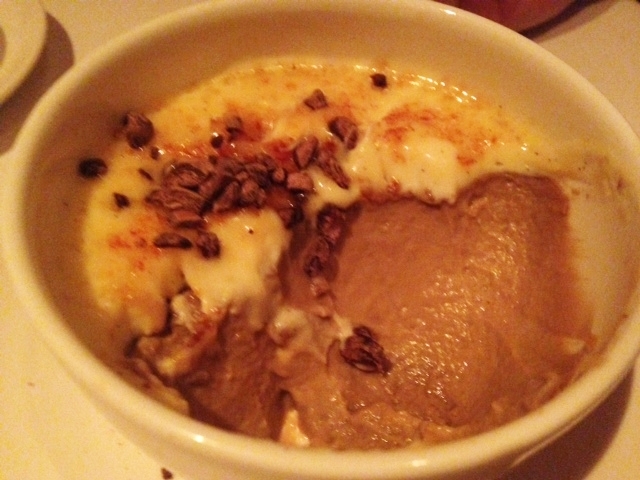 Here was the only problem Hugh experienced in the whole dinner – his cappuccino creme brûlée wasn’t really a brûlée more of a cappuccino mouse with soggy burnt sugar on top. There was no crunchy sugar at all sadly. We did – in a terribly un-British way mention both these problems when paying the bill and the manager taking the payment couldn’t have been nicer, he whisked us off to the Oyster Bar while giving us a quick potted history of the place and offered us an after dinner drink on him. At this point I discovered I quite like Vodka Martinis with a twist and almost fell off my bar stool as we left. Such a classy old bird! A wonderful place, delicious food, great service, no wonder it’s lasted so long and is always full. I’d go back again and again if I could.